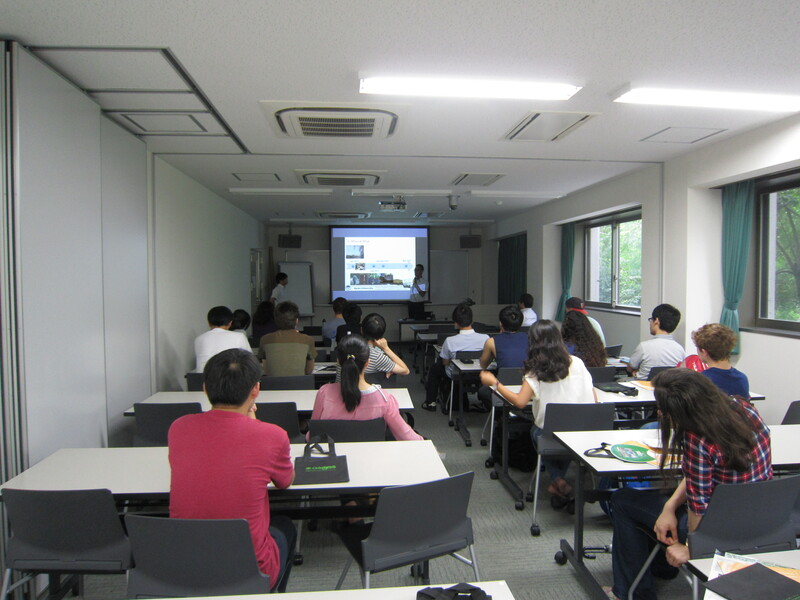 International students of Amgen Scholars Program visited GSGES and received introductory explanation to educational program of GSGES on 21 August 2015. 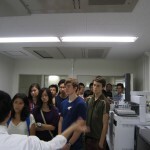 “Amgen Scholars Program” is a summer program for undergraduate students, over the course of two years. 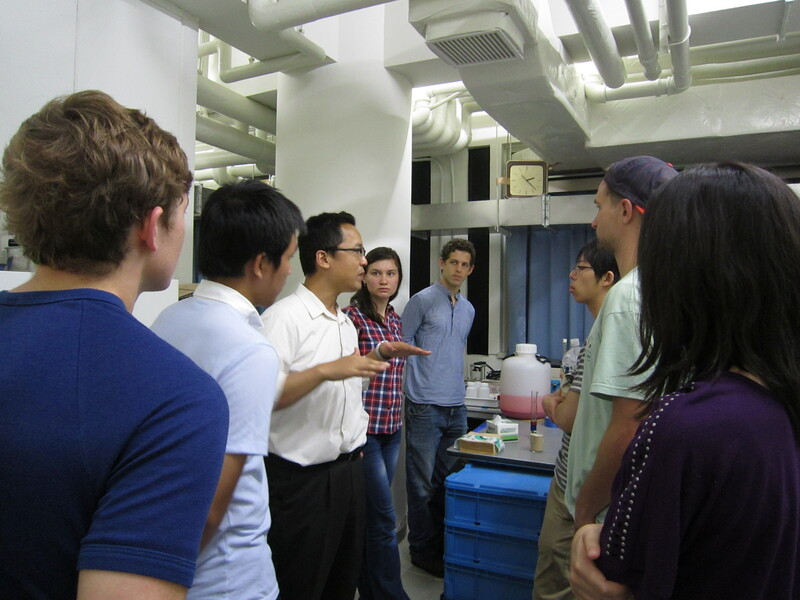 The program, funded by the Amgen Foundation, allows students across the globe to engage in cutting-edge research projects at globally recognized academic institutions, in order to foster the next generation of outstanding scientists. 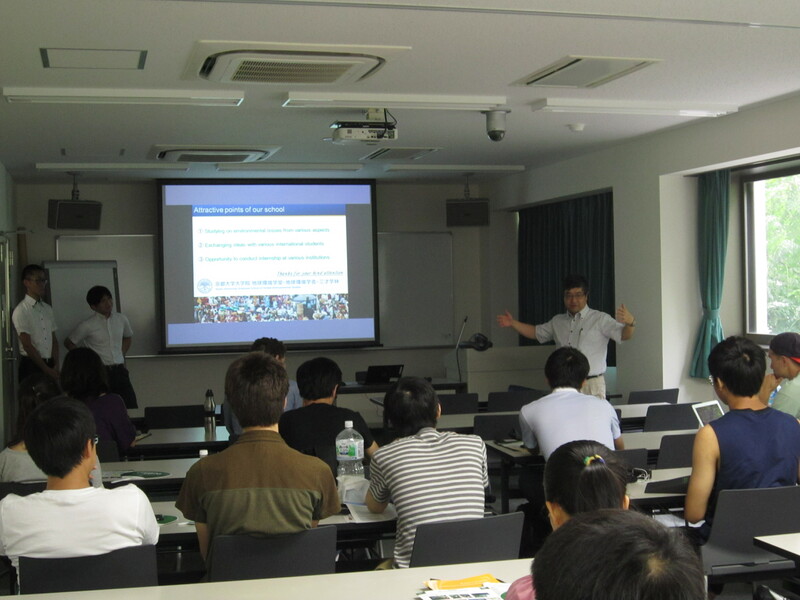 Professor Hideaki Miyashita gave an opening address and Associate Professor Toru Inui gave information on GSGES’s curriculum and entrance exam. 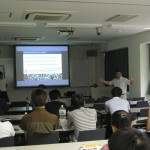 In addition, a doctoral student Dong Le and a doctoral graduate Yuji Suzuki gave presentation on GSGES’s student life. 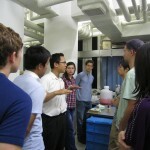 One of the AMGEN Scholars said that he realized the importance of interdisciplinary approaches to solve environmental issues. 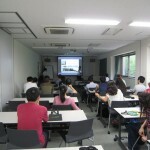 After the introductory explanation, Associate Professor Toru Inui and researcher Yuji Suzuki gave a laboratory tour to show experimental equipment and apparatuses on geotechnical engineering and environmental engineering researches. 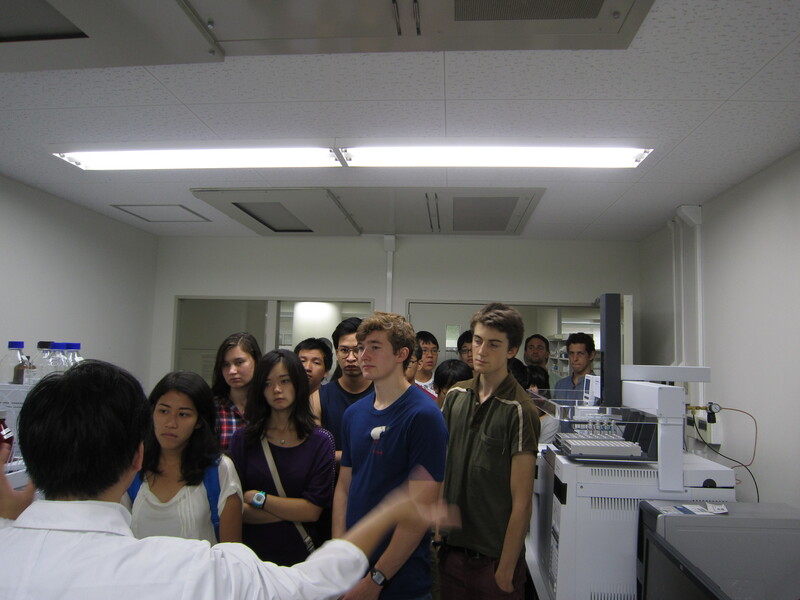 During the tour, each student seemed to feel familiar with the relationship between environmental issues and their countermeasure technologies.